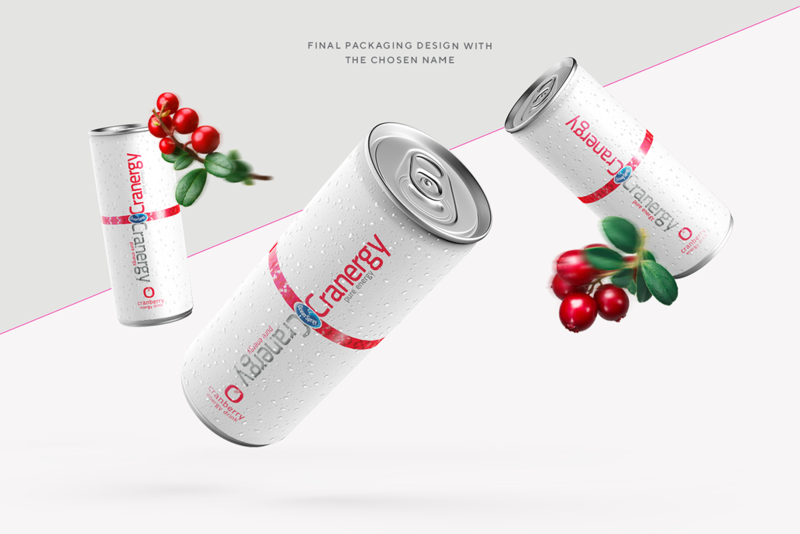 the energy drink space in order to determine an overarching plan to lay all our branding approach regardless of what the individual design ideas might be. 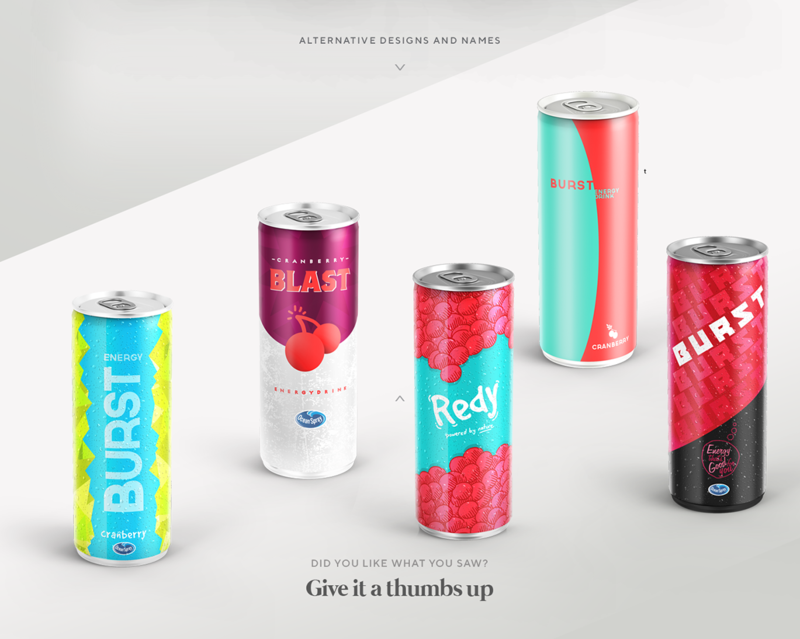 Energy Drink space overly saturated with brands that have similar premisses and overly synthetic products. We had to differentiate this brand from others and create an impactful brand. 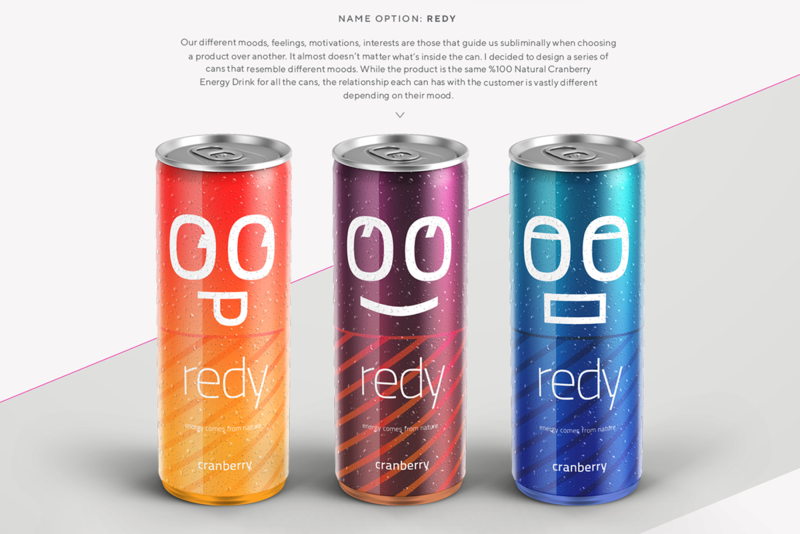 It had to be calm, positive, confident, relatable, with a clear message that this is an energy boosting drink with natural ingredients. We started with a name exploration followed by designs that represented our main goals for this brand. Here are a few directions that I worked on myself among many other collectively as a team. 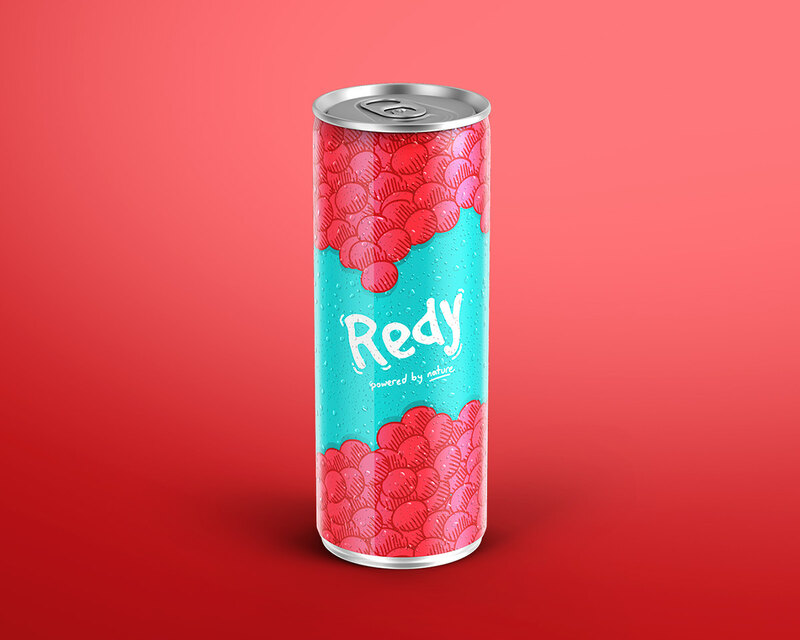 Cranergy is a 100% Pure Energy Drink from Ocean Spray. When this project came, there was nothing but the product. 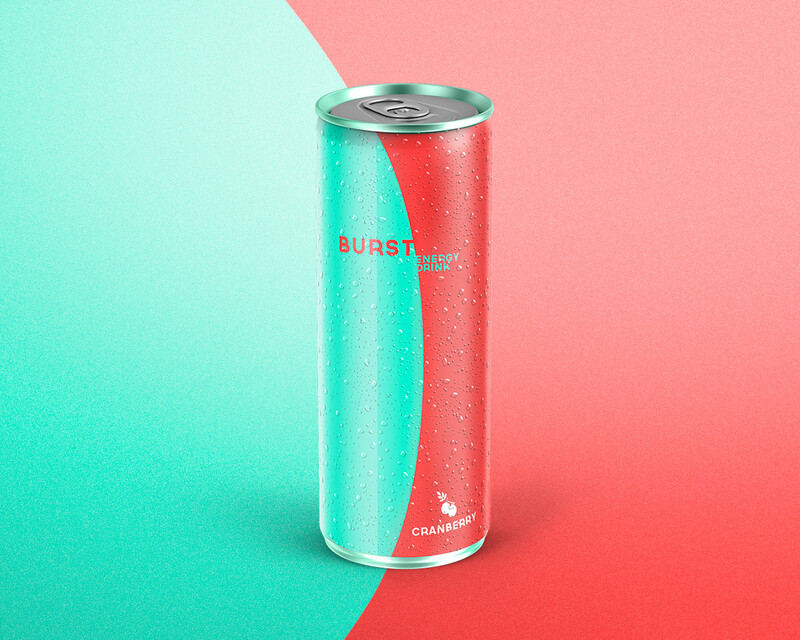 Branding for us started with a market research in to the energy drink space in order to determine an overarching plan to lay all our branding approach regardless of what the individual design ideas might be. 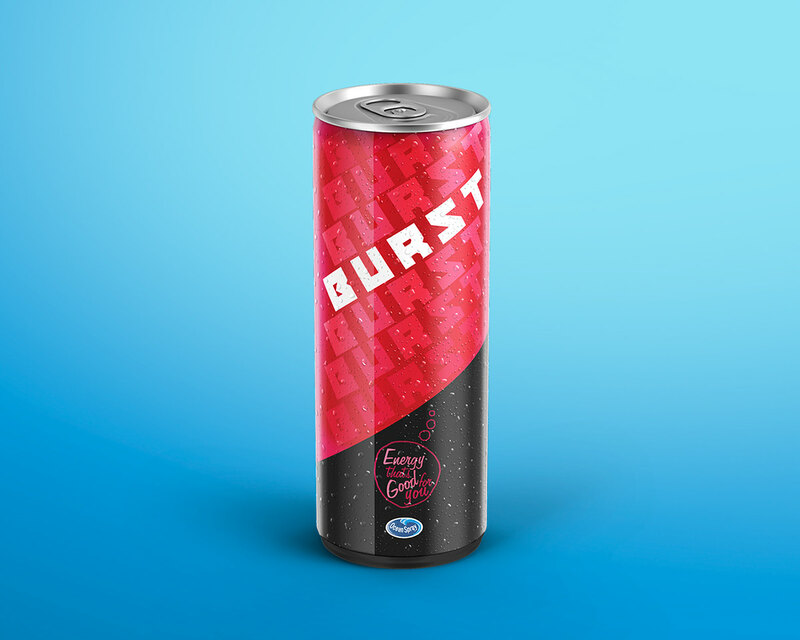 Energy Drink space overly saturated with brands that have similar premisses and overly synthetic products. We had to differentiate this brand from others and create an impactful brand. 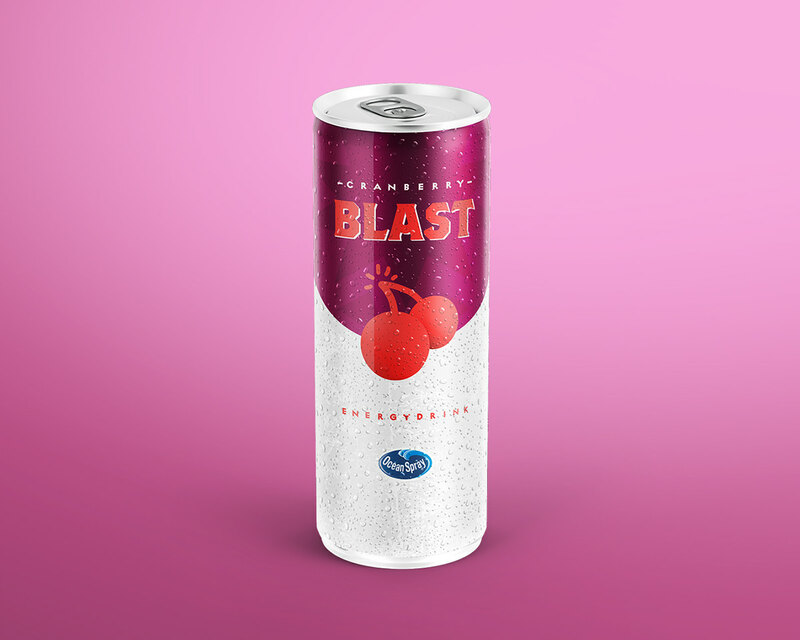 It had to be calm, positive, confident, relatable, with a clear message that this is an energy boosting drink with natural ingredients. We started with a name exploration followed by designs that represented our main goals for this brand. Here are a few directions that I worked on myself.